At Dennis Dillon Kia in Boise, ID, we know you have high expectations and want not only a great value at the time you purchase your new Kia, but excellent care after you leave the store. We know you have many choices in the marketplace, and we thank you for visiting our Kia store online. We would love the opportunity to earn your business. Please view our online inventory of new models from Kia, including the Optima, Sportage, Rio, Forte, Sedona, Sorento, Soul, Niro, Stinger and even the Optima Hybrid. Allow us to demonstrate our commitment to your satisfaction! I have always had positive experiences with Dennis Dillon. Recently at Dennis Dillon Kia/Mazda, Ron went above and beyond to get me into my second KIA Sportage. From Sales Manager Mike, Jay in Finance, all the friendly salesmen (especially Ron & Nino) and my friend Woody in Management, all are helpful, personable and welcoming. 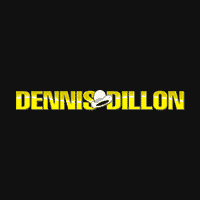 Dennis Dillon will always come highly recommended! Great place to buy or lease. They helped us out and now have a brand new car! Thanks guys! Just Bought my New Kia Optima From Dennis Dillon Kia on Fairview. Wonderful experience. Could not have been happier- it was an easy experience. No hard pressure sales. Felt like we were talking with normal people the whole time.Great service center as well! Bought my car from Don and he is great but this is a Serv review and this is the BEST service I've ever received anywhere. It is always great never had a problem. Harry and the team there are awesome.